Then a baby binds them forever! 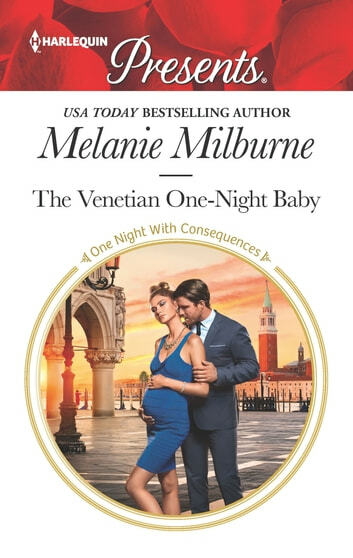 A hotel booking mix-up in Venice means wedding-dress designer Sabrina Midhurst must share a room with her nemesis: wealthy, brooding businessman Max Firbank. It’s infuriating—until an unexpected night of passion awakens a need Sabrina didn’t even know was possible! They’ve always battled their supercharged attraction, so when Sabrina confesses she’s pregnant, she’s stunned by Max’s demand: that she wear his ring! Spend one unforgettable night in Venice with this passionate romance!